Would now be the right time for a small business loan? As we move into August there is that early morning chill in the air and with it the sense that a seasonal change is preparing to take place. Come September and both these increase until it begins to feel positively autumnal. Of course the other major change in September is that children go back to school. Funnily enough, for many of us - no matter how long ago we were in full time education - September always feels like a fresh start, perhaps more so than January. If you can identify with this then perhaps September is a good time to look at growing your business through a small business loan? There are some generally good reasons why September can be a good time to expand. There can be a bit of a lull over summer, but as it draws to an end many businesses are gearing up for a busier time and could be open to new business contacts and opportunities. Also bear in mind that Christmas is not far ahead and if you get your timing right you could be well placed to hit the Christmas market. More generally in the economy at the moment there is talk of recovery. According to the Office for National Statistics (ONS) the UK's economy grew by around 0.7% between April and June - compared with 0.4% the previous quarter - and economists anticipate that it should continue to grow at a steady rate in 2015 and 2016. Stage I: Existence The business is establishing itself and the main priorities are to find customers and deliver the product or service. Stage II: Survival The business has now demonstrated that it is working. It has enough customers and is able to satisfy them with its products or services. It now needs to rebalance revenues and expenses to become more profitable. 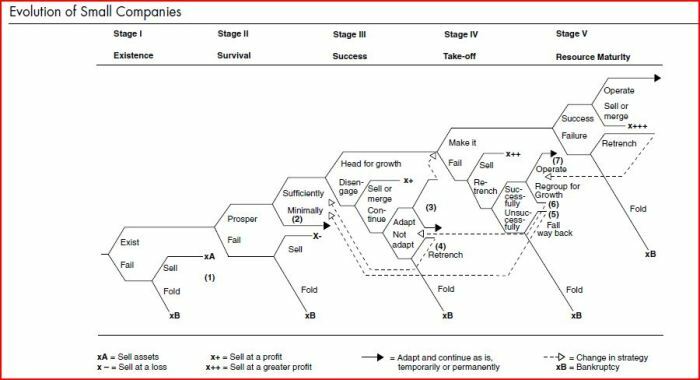 Stage III: Success Once the business is successful and profitable, decisions need to be made as to whether to expand further or keep the company at its current level of stability and profit. Stage IV: Take-off Businesses reaching this stage need to ensure they balance the pace of growth with the financing for it. Stage V: Resource Maturity The company has now “arrived”! It will have reached a reasonable size and will have strong financial resources and managerial talent. It is well placed to be “a formidable force” in the market. Whatever stage your business is at, and whatever your plans for September, Fair Business Loans is here to help you grow your business! Whether you are seeking unsecured business loans or some kind of business advice or networking, why not get in touch with us and see how we can help you move things forward?